Promoting their latest “And Then Like Lions” release on a cross-country tour, Blind Pilot played at Hi Fi Music Hall in Eugene recently. Their newest endeavor is their third studio release; on ATO Records, most of its 10 tracks are artful arrangements that invite repeated listening. The upbeat and lyrically engaging “Packed Powder” is especially commendable. Band members are: Luke Ydstie, upright bass, bass guitar, backing vocals; Kati Claborn, banjo, mountain dulcimer, ukulele, backing vocals; Ian Krist, vibraphone, percussion; Dave Jorgensen, trumpet, keyboards; Ryan Dobrowski, drums, percussion; and Israel Nebeker, vocals and guitar. 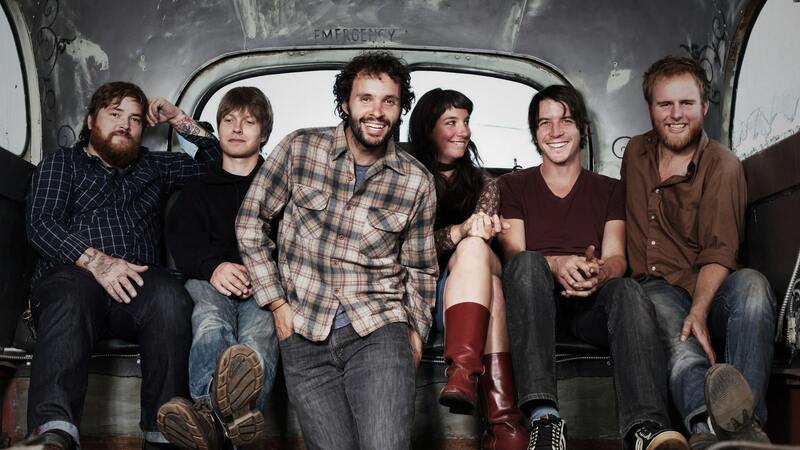 Blind Pilot has a flurry of appearances coming up, with performances scheduled in California at San Francisco’s The Fillmore, Solana Beach’s Belly Up Tavern, and in Oregon at Portland’s Crystal Ballroom. In downtown Eugene, Hi Fi Studios is centrally located, boasting an impressive sound system for bands like Kaleo who played their recently. You can find Blind Pilot’s music on amazon, iTunes, local music stores and on their website.